So the purchase of a second car has opened up a world of new first world problems for me to contemplate. The biggest among them is which car to drive? - The two cars are a 2007 Mazdaspeed 3 with 99,670 miles, and a 1995 Miata with 129,300 miles. - I have a dog. - The Speed 3 gets an average of 25-26mpg on premium, the Miata should get 27-29 mpg on regular. - Tires for the Speed 3 are at least $110 a piece. The tires I like for the Miata are $46. This is a big factor, I am hard on tires. - My work commute is about 42 minutes total. - The Speed 3 does not like sitting for more that two days. 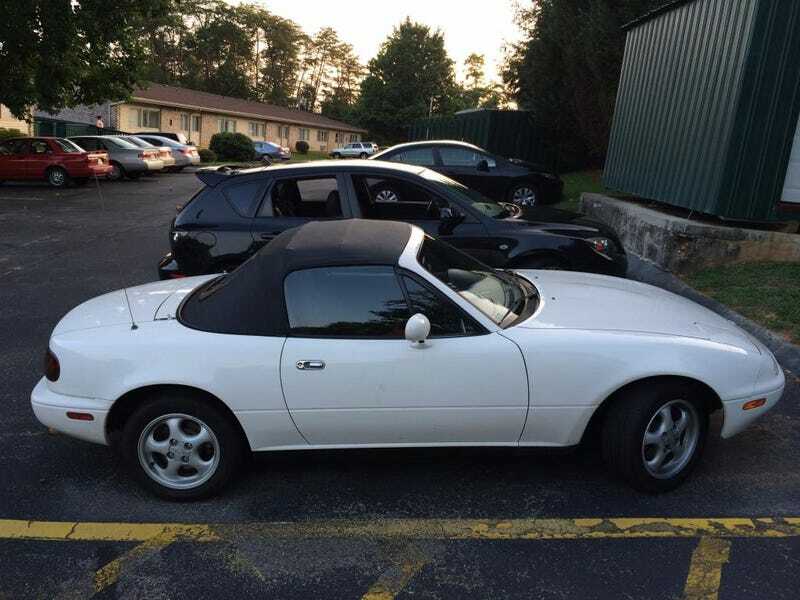 I let it sit out 3 days in the rain when I first bought the Miata, and it threw a CEL regarding the throttle body. A few weeks later it threw a TPMS light. Both issues resolved. So far I seem to be driving the Miata about 60% of the time. I am happy with that. What sort of criterion do you folks with multiple cars use? I imagine the decision gets easier if you have a garage or if one of the vehicles is much less suitable for commuting work. Going to be a good day.